The Rivers State Deputy Governor, Dr. Ipalibo Harry Banigo, says the arrest of the suspected abductors of the veteran Vanguard columnist, Miss Dornu Kogbara by security operatives in the state is a clear indication that the state is not safe for criminal elements any more. 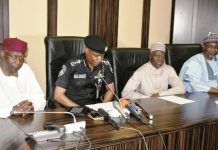 In a press statement by her Press Secretary, Paul Damgbor, Banigo reiterated the determination of Governor Nyesom Wike to continue to support the State Police Command and other security agencies to stamp out the tide of kidnapping, and urged the public to always offer useful information to the police to enable them fight crime. The deputy governor assured that the state government would graciously reward any informant that could provide useful tips about the hideouts of bandits or kidnappers in the state, and advised youth to shun acts that would jeopardize their future. 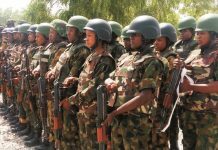 She commended the state security agencies for their bravery in tracking criminals in the state.